What Does Your Cover Say? They say a picture is worth a thousand words. And if there’s one thing I’ve learned in the past couple years, the cover of your novel can make or break you. Recently my fiancee found an article that we read together today, found here, and it made me think of a lot of things, and I think even helped me answer one very important question: why have sales for Burning Skies been so much worse than The Sword of Dragons? 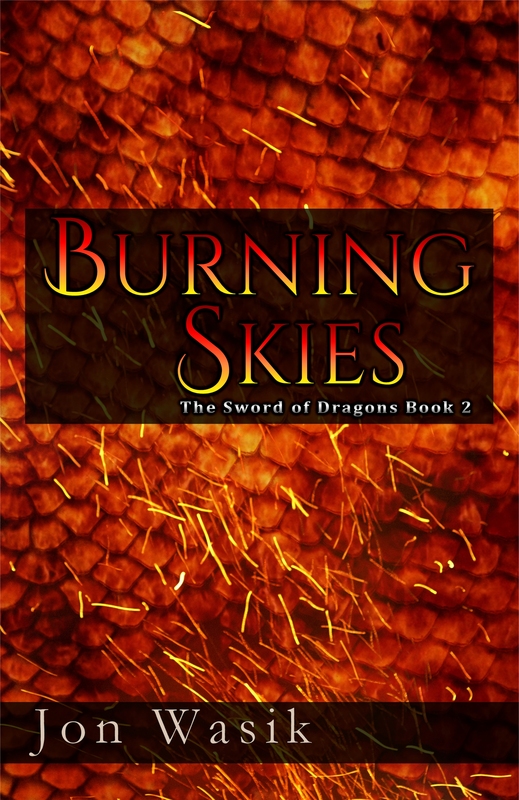 It boggled my mind, because almost everyone who has read Burning Skies told me they loved it as much if not more than The Sword of Dragons. So it wasn’t that it was poorly written or a bad story. And my advertising campaigns for Burning Skies have all tanked. Fewer clicks than my ads for book 1, and no purchases. I’ve said this in a previous blog, long ago, but what’s the first thing a person sees when perusing either a book shelf or an online book store? The cover. “But don’t judge a book by its cover!” So the expression goes, but frankly, everyone does. 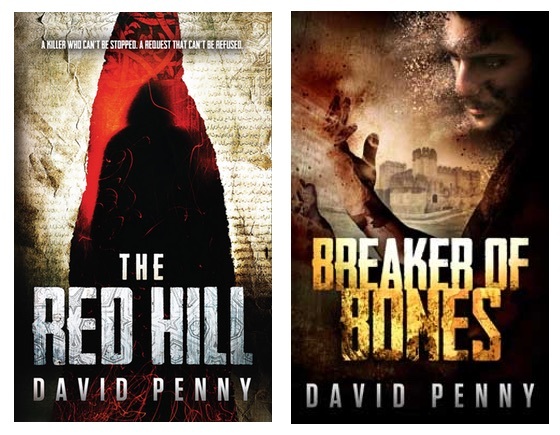 David Penny’s original covers…Thriller or Historical Mystery? So what does your cover tell potential buyers? What does it tell people your book is about? The one time I went to a writer’s convention, one of the panels I went to covered this very idea, and again in the article I mentioned earlier. 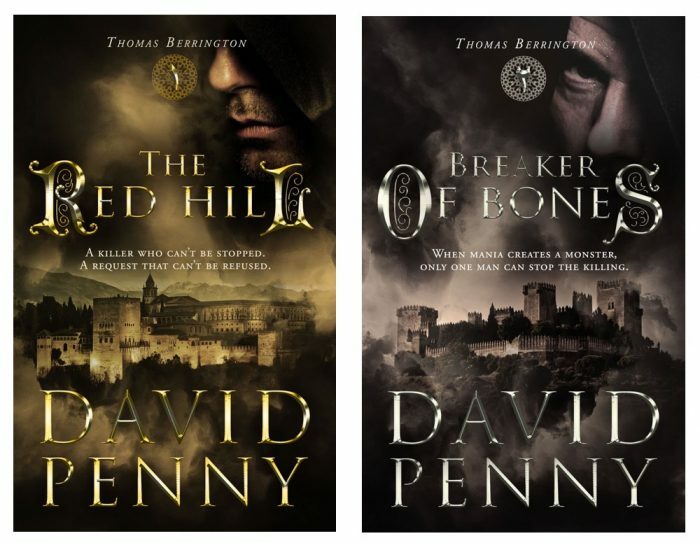 An example writer, David Penny, had a well-crafted cover for his historical mystery series, but what he was shocked to realize one day was that his cover made readers think it was a thriller. So he had his cover redesigned and re-branded his series, and suddenly sales skyrocketed! Why? Not because the original covers were bad, quite the opposite. But because the original covers weren’t attracting the right readers. Those looking for a thriller would click on the cover to see what the novel was about, only to find it wasn’t what they were actually looking for. And those looking for historical mysteries didn’t look into the book because they thought it was a thriller. Target audience. Who is your target audience? All of your marketing should reflect who your target audience is. If your book is a fantasy adventure but the cover makes it look like a teen romance, you are very unlikely to attract readers. What Does This Mean For The Sword of Dragons? Well…….I’ve been thinking. A lot. Lately I’ve felt like a failure as a writer. A failure in a lot of things. And I’m a bit lost as to where to go. But…maybe the author David Penny is on to something. Maybe this article was exactly what I needed. The original cover for The Sword of Dragons was great, Christian Michael is a talented artist. But for one thing, I didn’t do a very good job as a client helping him create an appropriate cover. I was, to put it mildly, an amateur at being a client to a cover artist. The article helped me realize my short-falls in that regard. I also didn’t have maps ready for the release of books 1 and 2. Not to mention I’ve since come up with some ideas to make the book as a whole even more attractive. But the cover…I know some people say a cover isn’t that important, but everything I’ve been seeing and reading in the past year completely disagrees with that claim. And I think I need to take a step back and reassess some things. I am very strongly considering doing a re-brand. Designing new covers for the first two novels using the tips and advice in the referenced article, as well as giving book 1 it’s own unique title. 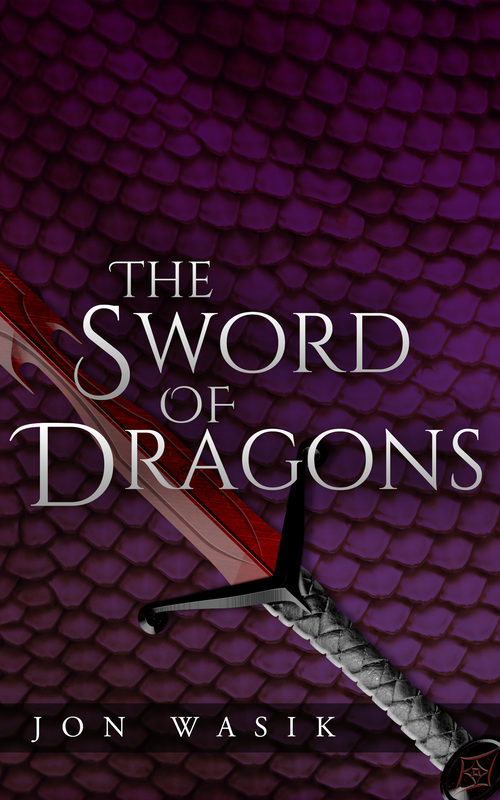 Since this is the Sword of Dragons series, book 1 needs a title to indicate it is the first in a series. And the more I look at book 2’s cover, the more I think: this does not in any way convey that this is a fantasy adventure novel. Even book 1’s cover, as well-crafted as it is, does not necessarily convey that it is a fantasy adventure. I have some thinking to do. What do you all think?